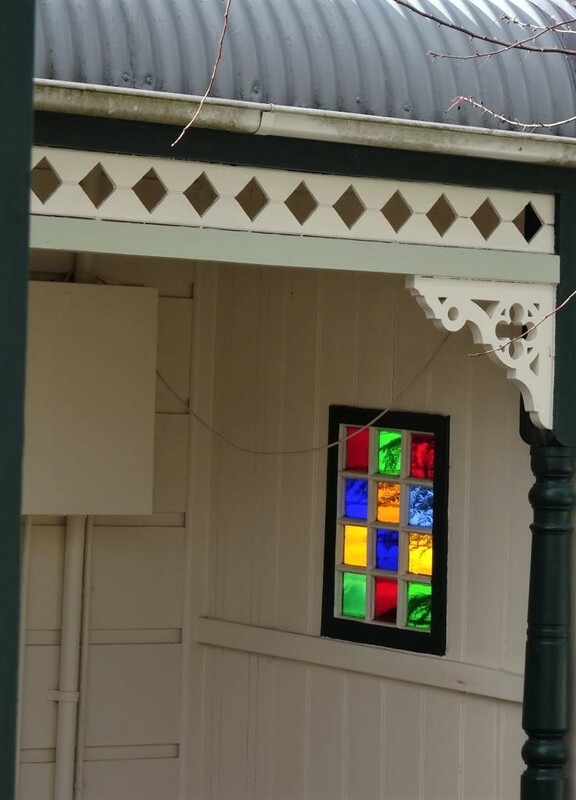 Little jewels; coloured glass windows in my village. 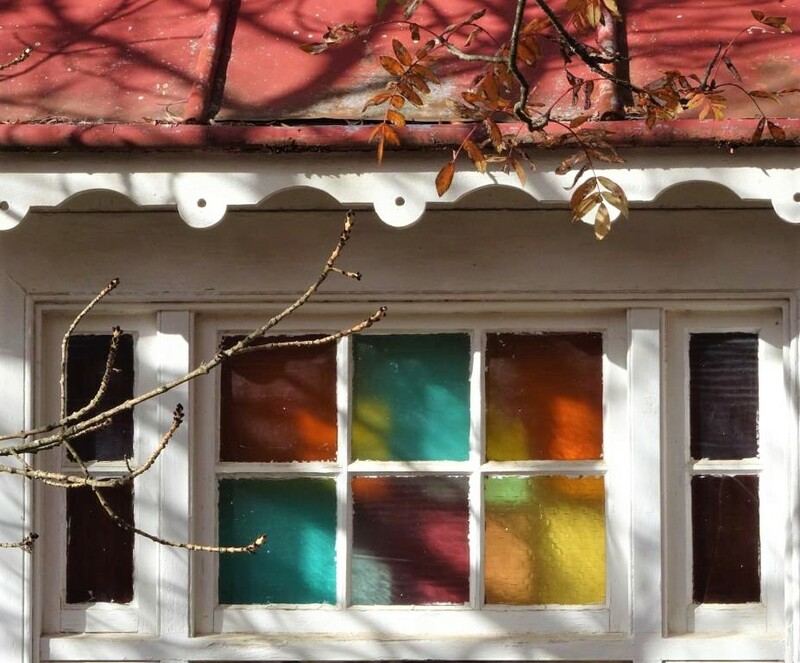 As the original cottages of Blackheath slowly disappear we lose something special….beautiful old windows with coloured glass panes or leadlights. Some are very simple; an inexpensive way of adding a little elegance to a humble home. Light is the operative word of course. When the rays of the sun hit the small glass panes in the example below they glow like jewels. They are at either end of a classic, Aussie bullnose verandah. The decorative woodwork is another feature of the era. Such a simple but effective decoration at the end of a verandah. 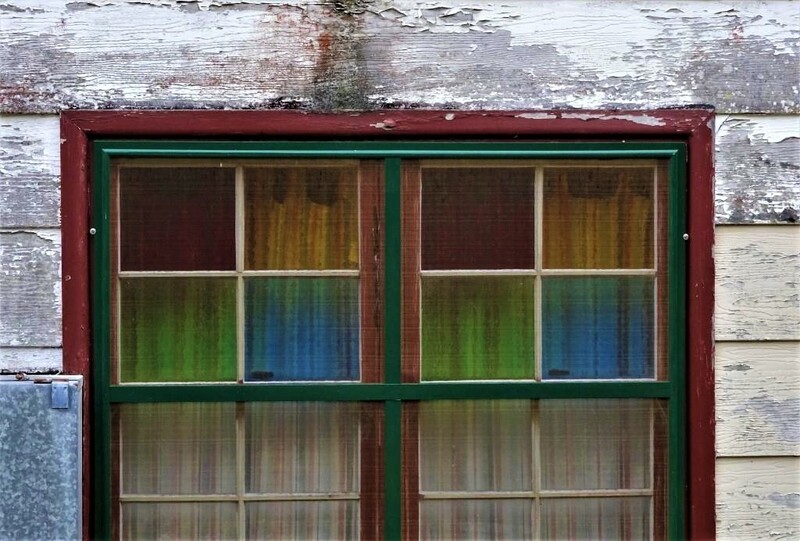 Look at the more subtle colours in the next window. Once the leaves of the liquidamber come out this one will be obscured from view. Here is another example. When the sunlight strikes it will come alive. The style dates from what is known as the Federation Era in Australia, at the beginning of the 20th century. Recently I photographed an old house in Govett’s Leap Road. It’s in a terrible state, and about to be demolished I suspect. Let’s hope someone rescues the windows. Once the windows entered my consciousness I began to notice just how many there are, and how much they add to the character of the village. Pretty under its corrugated iron awning. The following photo was not taken at Blackheath, but it’s a lovely image of a similar style of cottage, taken in the 1940s. Photo courtesy of Lyn Blair. The sky blue colour in this ‘verandah window’ is really unusual. And how perfect is that white picket fence? Not to mention the fame of autumn leaves. 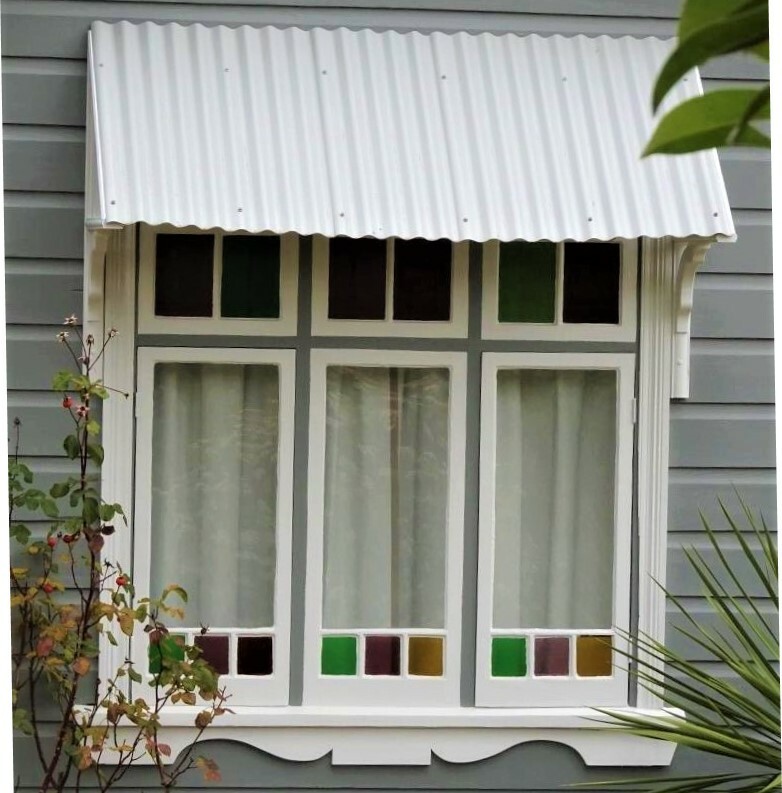 This verandah window is a little more complex. There are some more substantial, brick homes in the village. 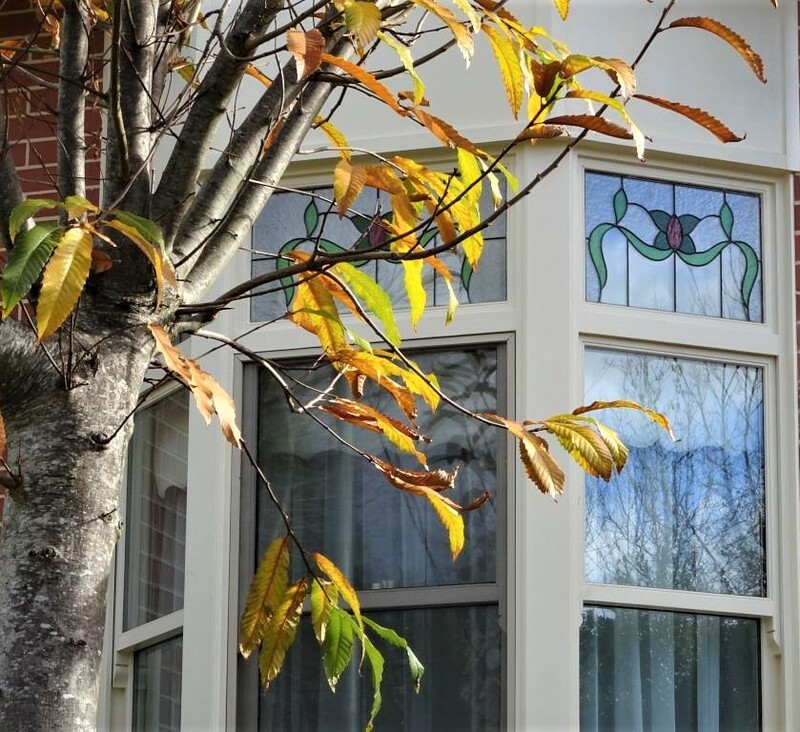 Here is one with a simple but more sophisticated, Art Nouveau style leadlight, in a bow window. The sinuous, floral motifs are mirrored in the foliage of the street trees . The window below has a similar design. 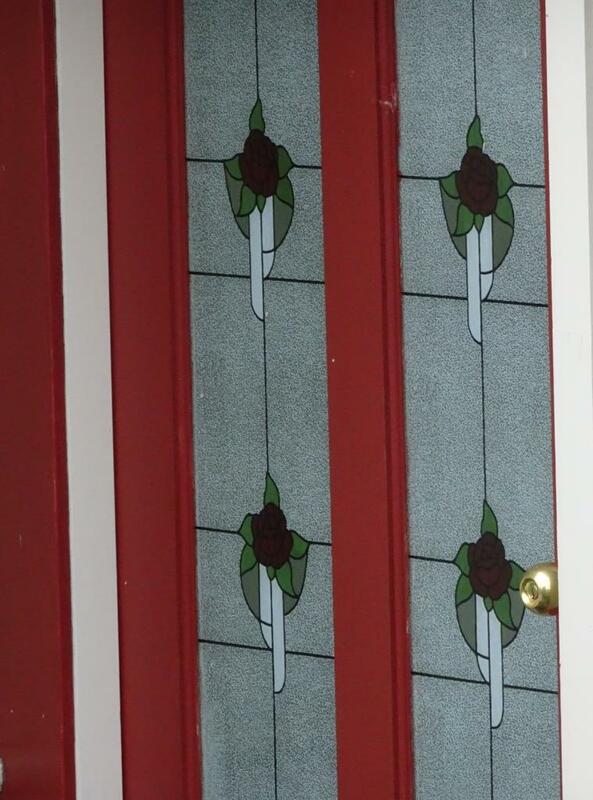 Frosted, glass panelled front doors were common too. Sadly, there are not many left. More effective than a welcome mat. And now for the finale. 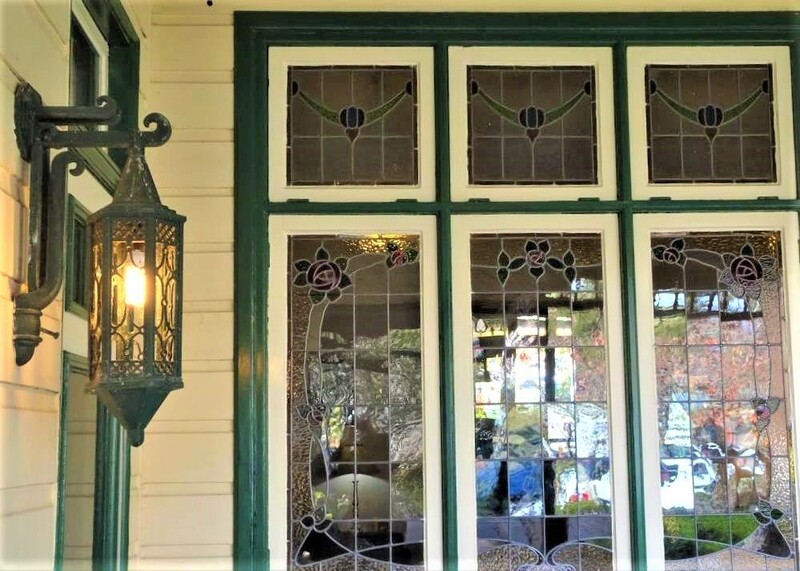 The leadlights in the famous old guesthouse Glenella, in Govett’s Leap Road, are a sight to behold. 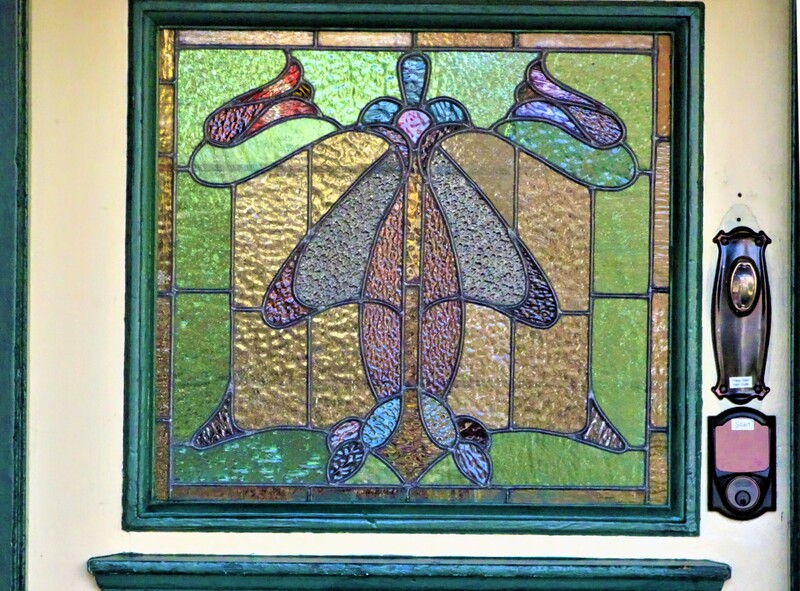 Stained glass window at Glenella. The font door is a little masterpiece. 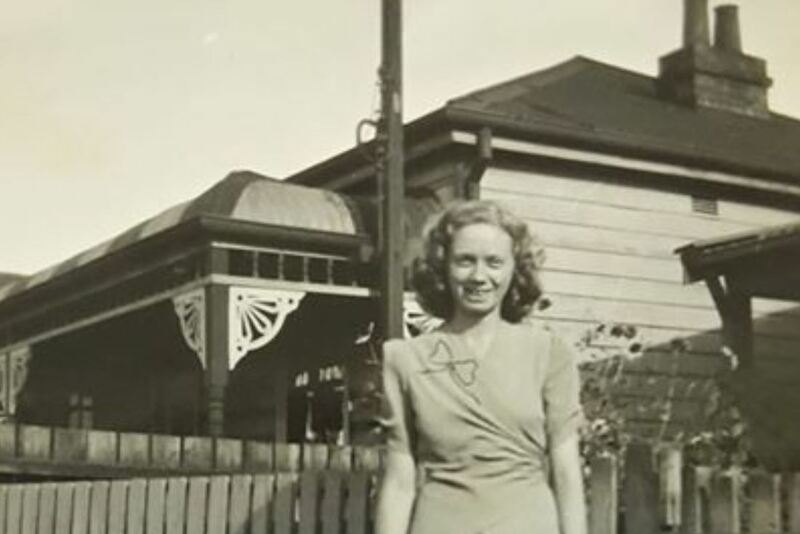 Almost all of these photographs were taken in Wentworth Street and Govett’s Leap Road. 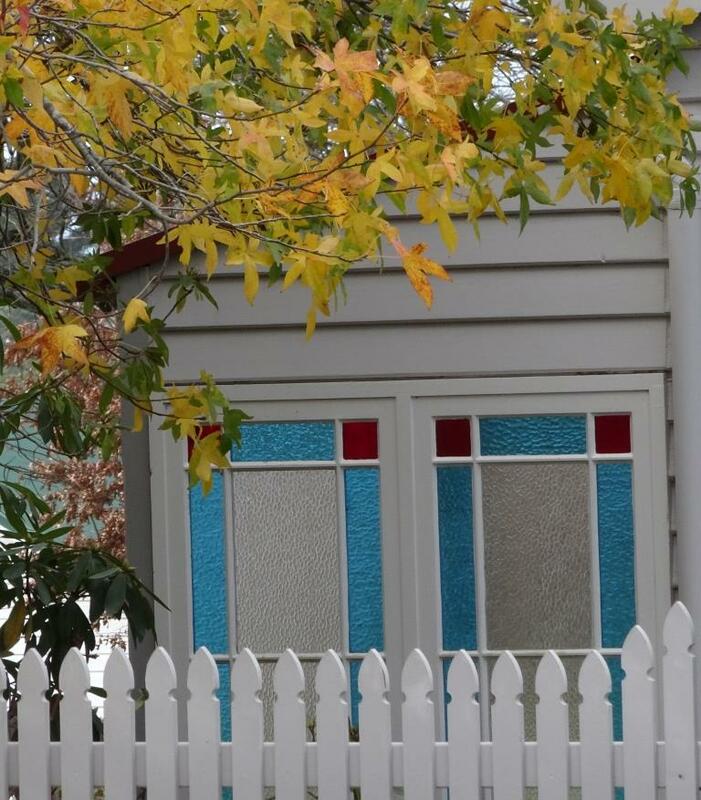 There must be countless other examples around Blackheath….and in other Blue Mountains villages for that matter. These days the trend is for vast expanses of clear glass and my own home under construction in the village is no exception. I appreciate the natural light and as a passionate bird watcher an unobstructed view will be wonderful. However, we do lose the cosy, more individual charm of old cottages. Perhaps I can find place for at least one leadlight. A design featuring the native waratah flower that grows around Blackheath would be perfect . 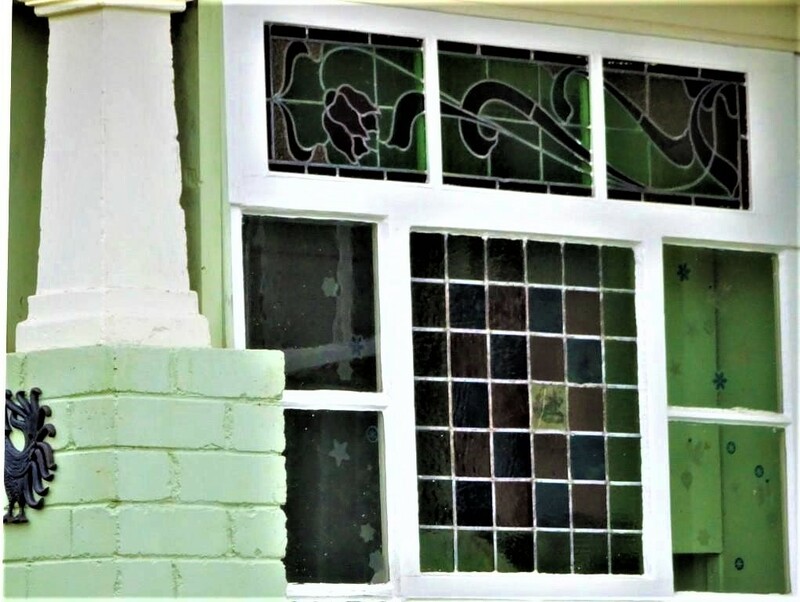 UPDATE – Since publishing this piece I have discovered that Blackheath has its own, highly respected stained glass artist. His name is Rod Marshall. Below is a dining room window Rod made for his wife, Osa. The design was inspired by their china collection. 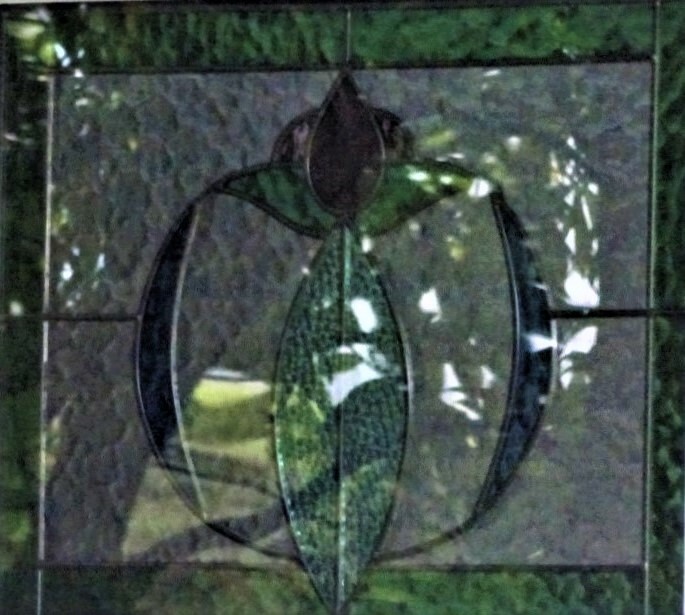 Rod can be contacted at rodmarshallstainedglass.com.au or via his website. The art form lives on. Toffee and Taffy, a Kookaburra love story. What stunning windows. I love the last one most. 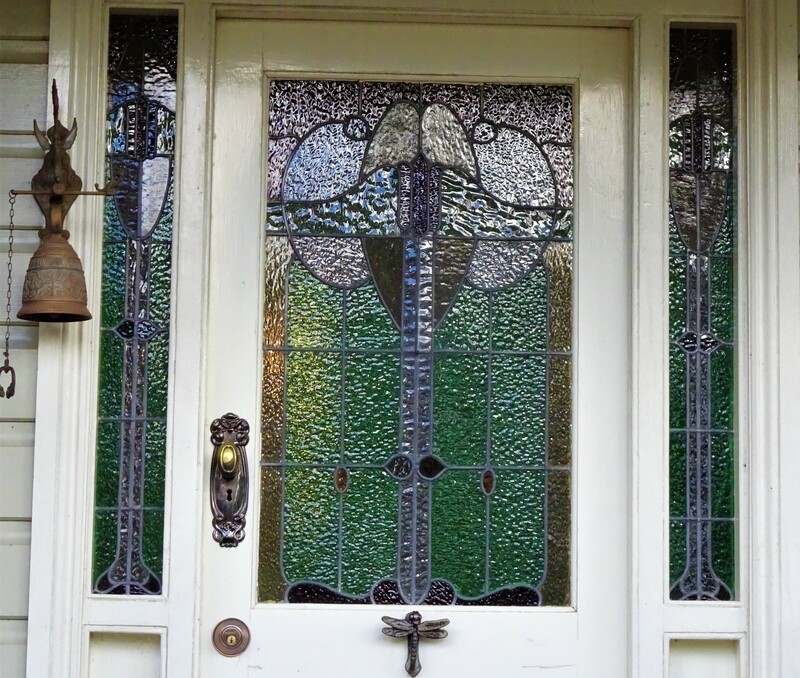 I live in a modern house in Ireland but had doors with stained glass in the door I use most. It is not bespoke but I love it when the sun shines on it casting coloured shadows on the floor and very occasionally on a wall. 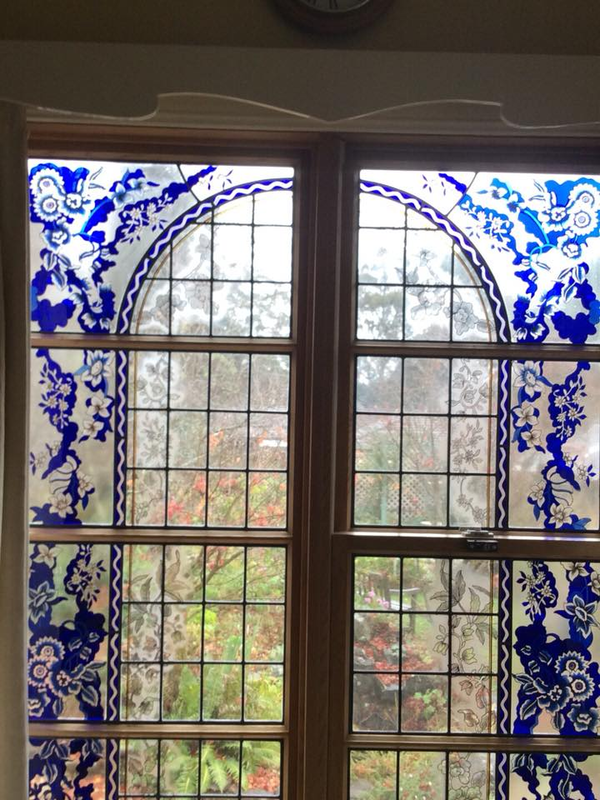 Thank you for making me more aware of these beautiful windows. Thanks Lorraine. I do love them. And yes, you are right about the beautiful shadows they cast. Beautiful! I have always loved old-fashioned things, and these windows are no exception. 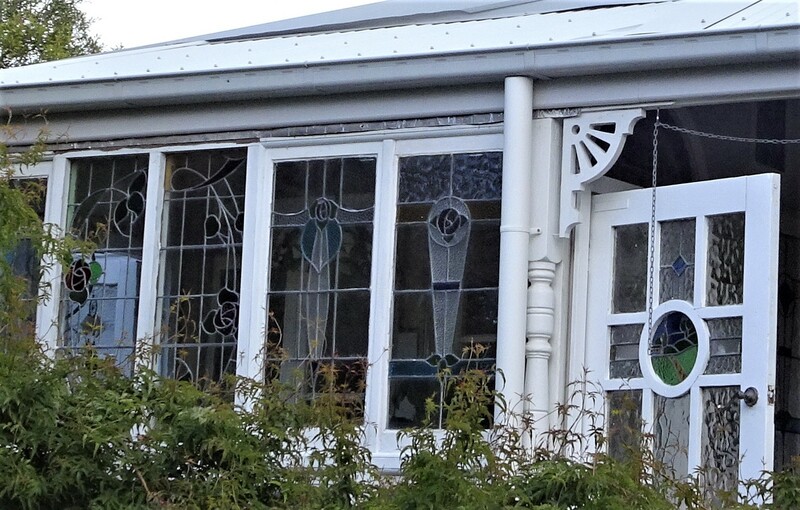 You don’t see much of this where I live, but I think I have seen an occasional house with stained glass. I must be more deliberately observant about this. Thanks for sharing. I always enjoy your articles and look forward to them. Thanks Diane. I only began to really ‘see’ my surroundings when I started to carry a pocket camera with me. Local residents often thank me for reminding them about the history of the village. Then they tell me more stories, which is wonderful.